Get in touch for a consultation today! 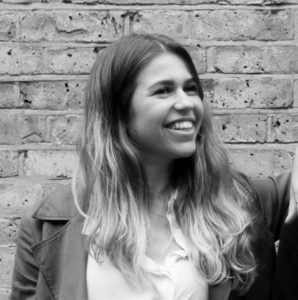 Over the last few years, I’ve had the pleasure of helping to mentor Valentine from SSSHAKE, an early-stage London tech startup, right from when the seed of the idea was taking root. When I first met Valentine Del del Giudice, she immediately demonstrated more than a starry-eyed view of launching her start-up. She showed a well-thought out business plan, credible research into her marketplace and an enthusiastic drive that we knew would not quit – no matter what! Well, that “no matter what” moment seems to have transpired when on 23rd June 2016, the vote for the UK to leave the European Union took place. At this point, Valentine was not even out the start gate yet with her SSSHAKE! 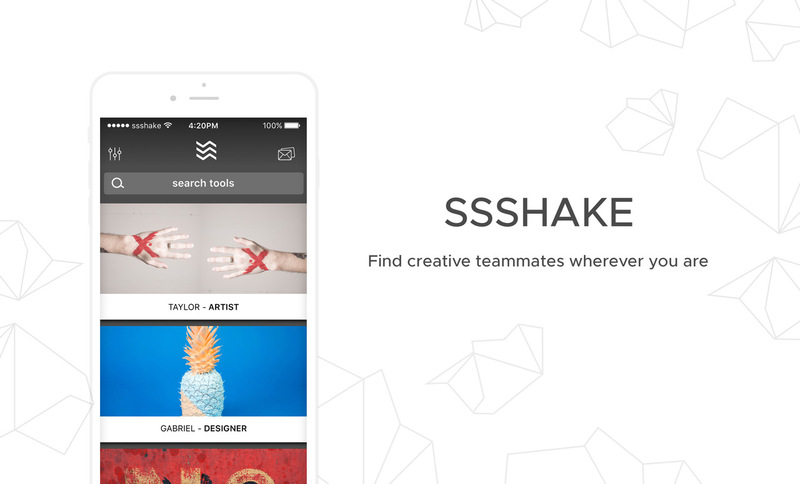 Her idea, like most of the best, is simple – there’s an app which connects you to new, unexpected matches when you shake your smartphone, Additionally, SSSHAKE hosts events and collaboration tools to offer London creatives the chance to form a solid creative network to connect and potentially collaborate with others to launch new projects. In a big city like London, Valentine’s channel literally shakes up how creative people could find and work together – no matter where they come from. Valentine, an EU citizen from Paris, woke up on the that morning and experienced a big shock. She says she felt very sad, angry and that it seemed like everything she had valued about the UK – its welcoming, multicultural attitude – had vanished. Would she have to leave? Would she have to lose members of her team as they lost the right to work in the UK? That was more than a year ago, but, like her app, she shook off the fear of uncertainty, and decided to remain focused on launching SSSHAKE in the spring of 2017, and not let Brexit blues interfere with her ambition to make her startup succeed. This included running a successful crowdfunding campaign for SSSHAKE, and smashing it above her 5K target goal – she secured more than £6K. The app also secured some press at launch time. Go Valentine! This week, I caught up with Valentine to find out what her mood is now in these pre-Brexit times, and how it feels to be a tech startup in “pre-Brexit” Britain, with herself an EU citizen at the helm. SSSHAKE is proving popular, attracting a few hundred attendants at every event she runs and significant downloads from the Apple App Store, even in these still very early days. Having started the idea for her business while she was still attending university at the London College of Communication, this is her first big pursuit out of school days, and she’s smartly been cultivating support and mentoring from various advisors. Shock from that first Brexit referendum results morning has eased for Valentine. While there may be big changes, she is ready, and up for anything that comes next, even if it means relocating SSSHAKE headquarters to a different city. Hotspots like Lisbon and Berlin are doing the same. Right now, she explained, London is still still proving to be welcoming and an easy place to connect and grow the SSSHAKE network and business model. Filled with an international community, the city remains a gateway to the world. Valentine’s mood is that she’ll keep her startup here for at least a few years, or more if that allows, while keeping an eye to the news and what might be in-store for her both personally and professionally as Brexit shakes out. No matter where she lands, the future feels very promising, she happily reports. NOTE: Inspiration to share this story, and help with editing the blog post, came from Keren Lerner, the Founder and head of Top Left Design. Happy 2017 everyone, or HNY!, as people are saying on social media. We want to wish you a great year, filled with promise and potential. 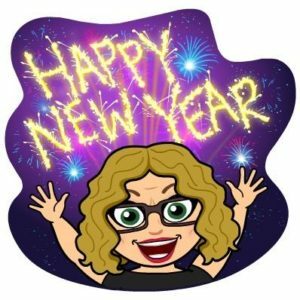 HNY 2017 from Lisa Devaney’s Bitmoji! We’ll continue to be supporting tech startups with public relations services, including working with a few early stage startups that have plans to launch in 2017. We are currently helping to rally beta testers for some of our clients, develop social media presence and begin media relation’s activities. A few clients we work with are still in stealth mode, while they plan their strategy for public debut. Here on this blog, we’ll be periodically featuring startups from around the world, with our ‘Startup Spotlight’ feature that has proven to be very popular. If you are a startup and would like to be featured, please contact us. We’ll also continue blogging here about happenings from our network, including conferences, events, beta test opportunities from our clients, client launches and more! At the start of 2017, we are nearly at full capacity for new business, but would love to hear from you if you are interested in pursuing our services. We can always make room for more clients! Also in 2017, Our Founder & Director Lisa Devaney will be hosting her DIY PR Workshops for Startups & Entrepreneurs for various organizations, including UCL. She’s also serving as a mentor and a non-executive board adviser to a few tech startups. In an interview with Eric Dye, host of the Entrepreneur Podcast Network, of Enterprise Radio, our Founder and Director Lisa Devaney shared some tips about tech startup public relations. Don’t over promise…remember that Google sticks! Be really careful about what you are saying publically. It burns your credibility to not deliver what you are promising. Really build your own visibility online before visiting the media with your story. Be sure to speak in clear, jargon-free terms when describing your business. We are pleased to announce that the Hai Media Group website is now live with a fantastic new look and design! Made by Dave Hall, we are really excited to unveil this design today that captures the essence of the services we are offering. With our new design, we have tried to encapsulate our three main areas of: Hai Media, Hai Social and Hai Beta – all geared to help early stage, disruptive, tech startups find their way in the world. A lot of our clients will tell you that we get up to a lot more than what our package says, often serving as advisors and connectors, who have proved very valuable for those we work with and support. We love these compliments! Keep them coming! We also want to let you know that our popular blog will be continuing. Soon, we’ll return to providing our Startup Spotlight features, among other useful news and views that you can use. Ranked on Alexa.com, our website and blog have had more than 21 million views over our existence. How cool is that? By the way, if you are looking for a new website, or website designer. We are happy to recommend Dave. Dave is a freelance web designer, residing online at I Can Make You Website. With a background including work in music industry PR and a number of his plays produced in professional theatres, he has specialised in creating sites for musicians and others in the entertainment industry. He is also the creator of Roktopus Themes, a nascent array of premium WordPress themes. He has a degree in Philosophy from Cambridge and lives in East London. Thanks for the great work Dave! As fans of all things DIY PR, when we came we came across an amazing DIY PR story from Taiwan, we decided to share it with you here. We’ve gotten to know Dan Bloom who is an American climate activist and journalist living in Taiwan. He’s best known as being the inventor of a new literary genre called cli-fi, a kind of sub-genre of sci-fi that defines literature and film that includes climate change in the storyline. 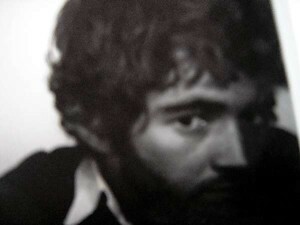 The self-confessed “envisionary futurist” graduated from Tufts University in 1971, where he went on to serve as the acting editor of the non-profit Polar Cities Research Institute. He has no formal training in PR, nor does he claim to be any kind of PR genius, but somehow he is making the world pay attention to cli-fi. Even though Dan has no computer in his home, he has managed to win headline’s in the world’s leading media outlets about cli-fi. A guest article he did was recently featured in the Washington Post. Cli-fi has also been featured in US Wired, NPR, The Guardian, The Huffington Post and many more outlets since Dan first coined the phrase cli-fi back in 2007. Just this week he was included in a story about cli-fi in The New York Times. Firstly, for those who don’t know, what is cli-fi, and how did it come about? DB: Cli-fi is a new literary genre term first of all, and secondly a new literary genre, too. So it is both a term and a genre. It came about after I spent many months trying to find a way to get past the daily political debates about climate change and global warming, all statistics and scientists and leftwing rightwing people screaming at each other. I thought that maybe a better way to convey the dangers future generations will face in terms of the coming Climapocalyopse — not now but in 500 years or so — would be to create a platform for writers and screenwriters to use for novels and movies. So I set it up. You were featured in an article published in Washington Post, that’s a pretty big deal! How did that happen? DB: I read that the Post had a new section online called PostEverything where writers could submit commentaries on just about anything, so I queried the editors there and they said I could send my piece in on spec. And they used it. You’ve also secured coverage for cli-fi in Wired US, NPR, The Huffington Post and many other outlets. These are amazing wins for any PR professional, what are tips you can share with those doing their own PR? DB: Just as in retail the key to success lies in three words “location, location, location” so too does PR have an important rule which is this: “never give up, never give up, never give up.” And don’t take no for an answer. Every genius has a strategy, what’s yours? DB: I am not a genius. I am not even a professional PR person. I practice what I call guerrilla PR, street PR, sidewalk PR, never give up PR. I also had Lady Luck in my corner. Without Lady Luck egging me on, we wouldn’t be talking here. I owe everything to three things on this cli-fi PR campaign: Lady Luck, friends in the right places and an Internet that connects us all. In the old world pre-internet, I would still be at the starting line. The Internet made this possible. Can you tell us more about your DIY PR tactics and strategy and how you are making this all happen with no computer, and just working out of a smoke filled café in Taiwan? DB: I don’t really have an office or a game plan. I just wake up every morning and start emailing anyone I think might be able to help cli-fi find the right media placement. And I get up the next day and repeat the process. Because this work is important to me and for future generations, I have been doing this PR work daily Monday to Sunday, without one day off in 8 years. No vacations or anything. I just feel strongly about the emergence of the cli-fi genre, and this is not “work“ for me. This daily crusade is my vacation. It is relaxing and rewarding beyond words or payment. I don’t get paid for this. That is another reason I have been successful. This has never been about me or fame or money. This is about the most crucial existential time period we humans have ever faced. I am just a foot soldier in a large army of climate fighters. I feel honored to be part of something much larger than myself, and much bigger than a mere brand or product placement campaign. This is the fight of our lives now, and for our descendants in the future, if there are to be any. Aside from creating literary genres, what other jobs do you do? DB: This is all I do now, 24/7/365. I wake up every morning energized and ready to go. I am never tired. I have not taken one day off in 8 years. There is nothing else I want to do. Is there anything more you’d like to share with us about cli-fi, DIY PR, life in Taiwan, the future of our planet Earth, or anything else that readers of this piece might find of interest? Are you working on any new PR campaigns connected to your cli-fi work? DB: Yes, I am currently setting up a YouTube campaign called “Tell Your Climate Fears at #CLIFI YouTube hashtag videos.” I am asking teens and college students and of course adults worldwide, both cli-fi writers and cli-fi readers and also just young people who are concerned about the climate issues we face to post a short 1 to 3 minute video with the #CLIFI hashtag in the title of the video and to post it on YouTube or send it to me for me to post on my channel ”MrDanBloom’‘..and to tell their personal feelings about the possible Climapocalypse we face in the future, not now, but in the coming next 30 generations or so. So this is a chance for young people to make their feelings and voices heard about climate issues even if they never heard of cli-fi before. Thanks Dan, and yes we love our Earth! 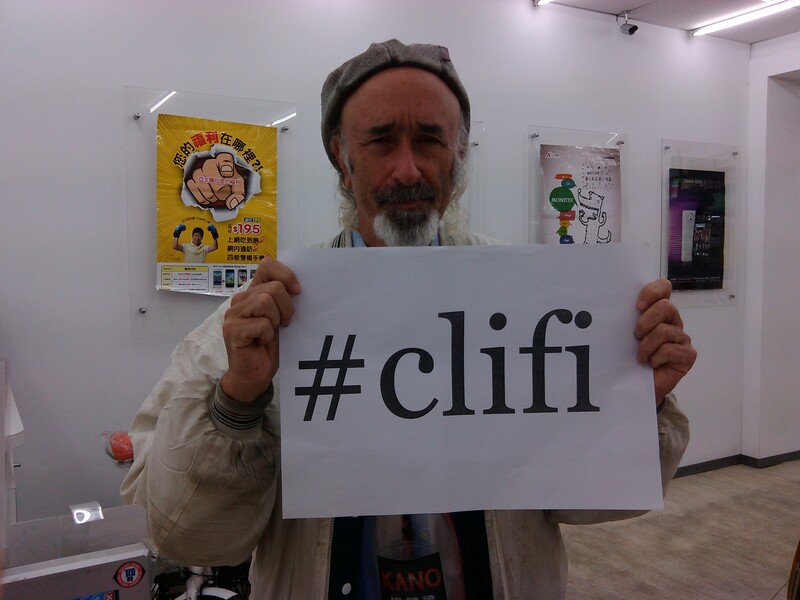 And if you want to follow the conversation about cli-fi look for the hashtag #clifi.